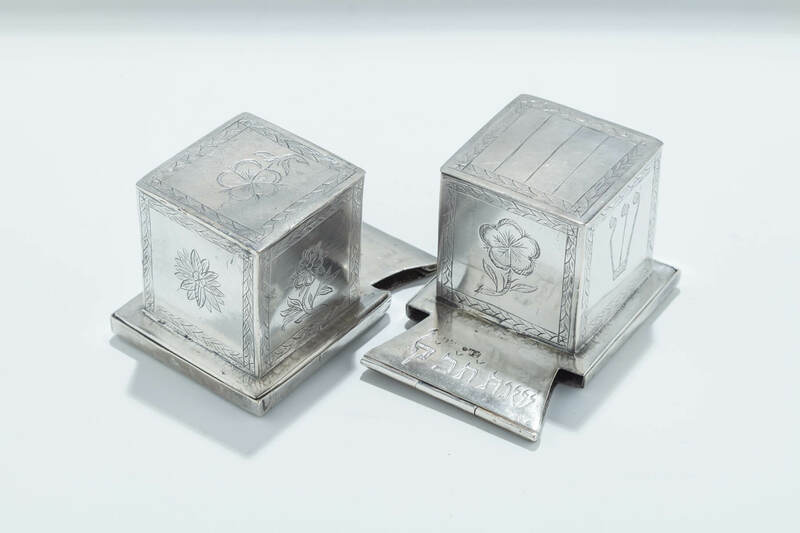 A PAIR OF SILVER TEFILLIN CASES. Poland or Ukraine, c. 1820. On flat bases. Batim engraved with floral designs and Shins. 3.2” long.